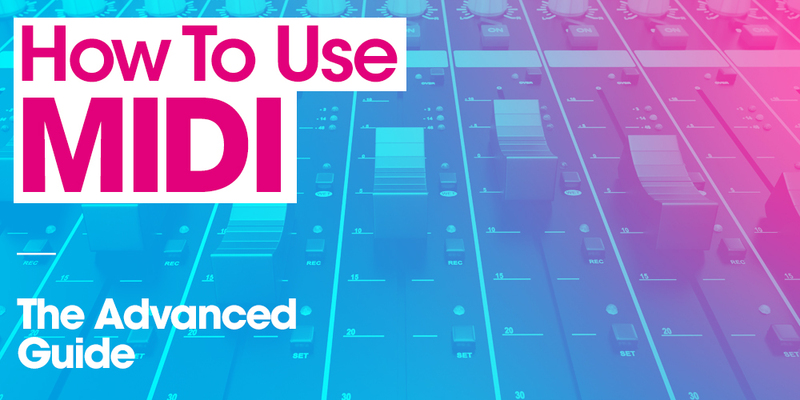 This article offers an in-depth guide on how to use MIDI loops in advanced music production. If you’re not much of a keyboard player, you can check out our massive collection of MIDI loop packs so you can get the best from this tutorial. I'll start by explaining some fundamentals, including a brief comparison between MIDI loops and audio samples; then, moving on to the more practical stuff. We'll cover the basics of sequencing MIDI loops and triggering, as well as some advanced topics toward the end, like real-time MIDI processing with MIDI effects. MIDI is a digital protocol that enables communication and synchronization between computers and electronic instruments. Given its nature as a mere protocol of digital communication, MIDI doesn't generate sound by itself, but rather instructs musical instruments as to what to play in terms of notes, rhythm and dynamics. With MIDI, we can control every imaginable aspect of a musical part in its multiple dimensions: rhythm, harmony, timbre and dynamics. Each aspect of a MIDI loop can be controlled independently, making possible to edit all these musical qualities indefinitely, in a non-destructive way. But all this power doesn't come without a cost; the creation of professional MIDI content is inextricably linked to the mastering of music theory and keyboard playing, and it’s for that reason that commercial MIDI files are so popular and useful. MIDI loop packs provide an invaluable tool to start making music right away, without having to spend years learning musical theory and practicing piano. 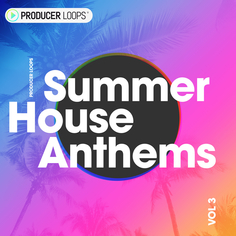 The best way to practice and improve our skills with MIDI is by acquiring professional MIDI files designed by reputable sound design labels such as Producer Loops. 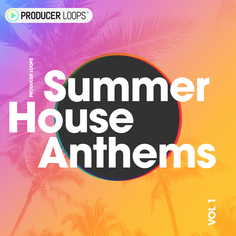 For this article, I’ll be using Ableton Live and a sample pack by Producer Loops called Summer House Anthems, which comes with a great set of melodic and harmonic MIDI loops. The single most crucial preliminary aspect of MIDI sequencing to bear in mind is the destination in terms of types of instruments that the MIDI files are intended for. We need to make sure that we’re getting MIDI files written for the specific instruments that we want to sequence and that we feed each MIDI file to the type of instrument that it was written for. 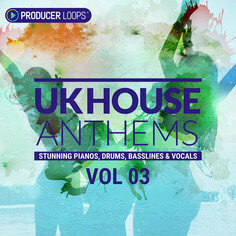 Each category of MIDI files will be particularly tailored for a type of instrument such as drums, bass, synths, piano, strings, percussion, and so on. Of course, you can experiment by playing a guitar MIDI file through a piano VSTi, but the best results are usually found when the MIDI loop's intended instrument matches the kind of VSTi instrument you've chosen to assign to it. 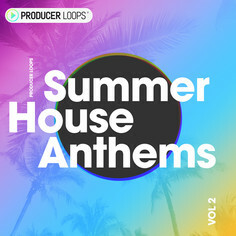 Producer Loops has thousands of VSTi presets which you can load into the likes of Sylenth, Serum, NI Massive or Spire. 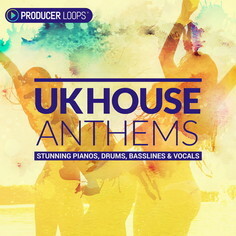 Almost all genres are covered so you can ensure you're using the quintessential sounds for the genre you're producing. Key and tempo information are also relevant, but only for stylistic reasons. Unlike with audio loops and samples, MIDI files allow the user to change key or tempo without any loss in sound quality. Changing the key or tempo of a MIDI loop can be as simple as dragging the notes up or down the piano roll, or changing the master tempo of your project. The most straightforward way to start playing with MIDI files is by sequencing them on the Session View. In order to do that, the files need to be dragged and dropped from the browser pane onto an instrument track. Once imported onto the proper instrument track, the length of the MIDI files can be set by dragging their right edge horizontally. The content of each clip can be shifted forwards and backwards in time with the start marker or by scrubbing over the body of the clip horizontally while pressing ctrl/shift or command/shift. The clips can be placed on the desired time location by being dragged horizontally or moved step wise across the timeline with the horizontal arrow keys, as well as duplicated with ctrl/d or command/d. In addition, the clips can be split into smaller fragments with ctrl/e, and then rearranged and muted in order to create further arrangement variations. With the transpose slider, a selection of notes, or all of them, if none are selected, can be transposed by semitones, and reset to the original register with a double click. With the half and double tempo buttons, the speed of the selected MIDI notes can be halved and double, and with the legato button, the length of the notes can be set so that each note ends where the next one begins, eliminating gaps and overlaps between notes. The duplicate button duplicates the entire MIDI file, including its time length, and the loop switch activates the loop mode, so that the clip can be played indefinitely when stretched horizontally across the timeline. Finally, the reverse and invert buttons reverse and invert the notes horizontally and vertically respectively. With Live 10 we can now edit groups of up to 8 MIDI clips simultaneously. This allows us to make changes on the individual members of the group while getting a visual representation of the rest of the clips, which gives us a much more comprehensive picture of the vertical dimension of our productions. In order to enter group mode, we only have to select up to 8 MIDI clips by clicking on each one while holding shift. Once in group editing mode, we can switch back and forth between the individual clip editors by clicking on the multi-clip loop bars on top of the editor or by clicking on a greyed out note, which is how notes from clips out of focus are displayed. Like audio files, MIDI files offer automation envelopes to automate parameter changes on instruments, effects and the mixer. All it takes to automate the parameters of a MIDI track is to enable automation mode in the Session View and click on the parameter that we wish to automate. As soon as we click on a parameter, an automation envelope will be displayed on the MIDI track, so that we can edit it. Automation curves can be created by either editing the automation envelopes with the pen tool or by creating and dragging envelope breakpoints with the cursor. As an alternative, they can be recorded in real time by arming the MIDI track with the arm arrangement recording switch, turning on the arrangement record button and adjusting the parameter while we record. A more advanced and unknown way of using MIDI loops consists of triggering them as MIDI clips from an empty MIDI track in the live view. To do this, we need to insert a MIDI track and set it as the input source from the input type dropdown menu of the target instrument track. Next, we need to assign a key to trigger one of the clip slots of the empty MIDI track and import a MIDI file into that same clip slot. Then, setting the launch mode of the MIDI clip to gate, we can trigger portions of MIDI content in real time with the pressing of the assigned key, being able to interrupt the flow of notes by simply releasing the key. We can also navigate throughout the whole content of the MIDI file by dragging the start marker horizontally, which allows us to shift the start point on the fly and trigger any group of notes within the MIDI file. The triggered notes can be then recorded on the targeted instrument track. Once we’ve come to terms with how to sequence, automate and trigger MIDI, we can move onto MIDI processing, which is how we alter MIDI data in order to mutate it and create variations to it. All modern DAW include a set of MIDI processors, or effects, out of the box, while additional ones can be added as third party plugins. In the case of Ableton Live, there’s also the Max for Live ecosystem, an open source audio programming platform which abounds in very powerful MIDI effects capable of extending Live’s functionality beyond recognition. MIDI processors can be chained in the same way as audio effects, the only difference is that instead of audio, we get to transform the incoming MIDI data. Perhaps the most important and popular MIDI processor is the arpeggiator, which turns the incoming notes of a chord into monophonic sequences, so that entire new content can be generated from chord progressions without having to worry about staying in key. Another useful MIDI effect included in Live is called Scale, and it functions as a real-time MIDI notes mapper capable of transposing incoming MIDI notes on a per note basis, so that the incoming notes are forced to conform to a fixed scale of our choosing when they come out of the effect; this allows us to transpose the entire pitch information of a MIDI file, not only to different keys, but even to any imaginable mode and scale. Say you find a MIDI melody that you like but are unsure if it is in your track's key of C# and don't know how to transpose it to make sure it is - simply select C# within a MIDI Scale effect and Live will ensure that any note played is in the C# scale. Next, we have Random, a processor that randomizes the pitch of the incoming notes, and which, in combination with Scale, can be used to create endless melodic variations of pre-existing MIDI loops with very little effort. Then there’s Chord, an effect that can create chords out of incoming single notes by stacking up to six superimposed voices set by semitones, and which, in combination with Random and Scale, can turn simple monophonic lines into whole harmonic progressions. Last we have Velocity, which can be used to adjust, automate and randomize the velocity of incoming notes. And finally, the more simple effects, Pitch and Length, used to adjust and automate the pitch and length of incoming MIDI notes. It’s never been easier to start using MIDI loops in music production, with the wealth of content and educational resources available on pro audio platforms such as Producer Loops. 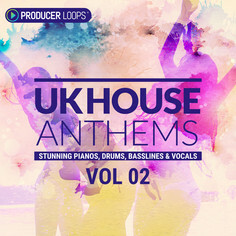 Our MIDI packs are the perfect entry point for musicians, producers, DJs, recording studios, film and soundtrack producers who, having hit the limits of working with audio sample packs, wish to expand their toolbelt by learning about the possibilities that MIDI technology has in store for them. MIDI is a technology that, along with the innovations of modern software, is breaking ground. These days, MIDI loops can offer unparalleled realism in the emulation of acoustic and analogue instruments. MIDI files are endlessly usable, thanks their compatibility and adaptability to entire arsenals of VSTi instruments. Going beyond the priceless ability to change key and tempo with no loss of sound quality, using MIDI effects allows the user to create truly original, experimental musical themes, which may not be possible using a typical MIDI keyboard or may be beyond the playing ability of the user.